Signs of recovery, "albeit slow and painful," are evident in Miami’s office market, said Donald Cartwright, senior vice president and regional leasing director at Jones Lang LaSalle. An analysis of second quarter 2002 results turned up several hopeful signs, he said. "On the employment front, Miami-Dade County actually turned in a decent performance," leading the state in job growth in the period, Mr. Cartwright said. "Consumer spending via housing and retail remains remarkably strong. The city’s average housing price rise will be tops in the nation this year at 10.7%, according to a Wall Street Journal survey. Miami in particular benefits directly from the state’s strong retail position." The Miami market accounted for nearly two-thirds of combined leasing and sales transactions in South Florida, he said. "Within Miami, the office market recorded negative absorption this quarter but significantly less than posted during the first quarter," Mr. Cartwright said. "While small-space users typically dominate Miami, current leasing activity of larger users was on the rise over last quarter, particularly in the suburban markets." Interestingly, he said, considering the popularity of Coral Gables and Airport West, "the CBD class A sector outperformed the suburban class A submarket in terms of lower vacancies, stability and potential for increases in rent rates." In fact, for the third straight quarter, Airport West posted the highest overall vacancy and highest class A vacancy among nine regions in the market that Jones Lang LaSalle studied, Mr. Cartwright said. Downtown Miami class A rates, by comparison, are poised to rise as sub-lease space dries up. In the central business district, slightly more than 2% of 3.6 million square feet of class A inventory is available for sub-lease, no change from first quarter 2002, he said. Direct vacancy, however, moved up 1.5 points to push the "vacancy, including sub-let" statistics to 13%. Though both First Union Financial Center and Miami Center are poised to raise rates to $35 a square foot, the average rental rate for class A dipped to $30 per square foot because of a pricing adjustment at One Biscayne Tower, Mr. Cartwright said. Class B space downtown had a 10% vacancy rate at the end of 2001 and that figure has risen only marginally over the past six months, statistics from Jones Lang LaSalle indicate. Rates dropped slightly, from $22.50 to $22.25. Vacancy was lower in class C space at 5% and rates held steady at an average of $15.75. Downtown "is holding its own," said a report from for the research department at Cushman & Wakefield. "Year-to-date leasing activity of 206,872 square feet is the second highest in the county so far this year. Class A buildings have few space alternatives of any significant size." In Brickell, "the biggest story is the recent relocation to Coral Gables of several noteworthy tenants," Mr. Cartwright said. Lack of contiguous office space was the motivating factor, observers say. "On the flip side, several existing tenants are focused on staying in the central business district, into which Brickell falls," he said. 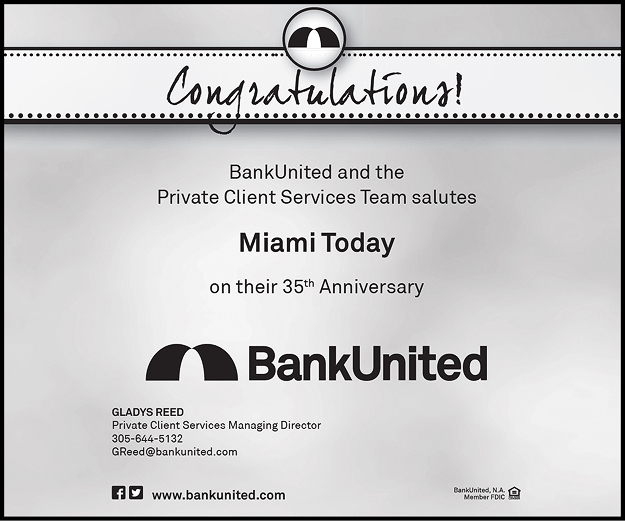 "Baker & McKenzie, a current tenant at 1200 Brickell and one of the country’s largest law firms, falls into this category." Class A space comprises 2.8 million square feet with an average quoted rate of $32.50 per square foot. Meanwhile, MetLife’s Bank of America Tower, 701 Brickell Ave., "appears to be in the best position to push rates north of the $34 range," Mr. Cartwright said. Vacancy in Brickell’s class B space shot up from 6% at the end of 2001 to 11% at the end of the second quarter this year. But rates held level at slightly more than $25 per square foot. In class C, the vacancy rate actually dropped from 10% to 7% while rates stayed the same at $21.50. With two buildings, First Union Financial Center and 777 Brickell, both on the market, "pressure to maintain rates will mount, leading to increased vacancy as deals lean to more aggressive sub-markets," Mr. Cartwright said. Another troubling sign, he said: no pre-leasing deals have been announced for the office space at Espirito Santo Plaza or the Four Seasons Tower, both set to open in mid-2003. "The Brickell Avenue submarket continues to worry market observers," the Cushman & Wakefield report said. "Currently, there are 239,991 square feet of sub-lease space available, of which the biggest block is the 75,000 square feet of space vacated by Barclays Bank. In addition, there is more than 100,000 square feet of space being marketed that is not currently vacant, which will have a negative impact on this sector’s future vacancy rate." The beneficiary of discontent in other market sectors is often Coral Gables, considered by many to be Miami-Dade’s premier office space market. "International banks and the various businesses that serve them will increasingly consider Coral Gables as an acceptable alternative to downtown Miami and Brickell Avenue, now that a few name tenants have relocated," Mr. Cartwright said. The trend of attracting domestic and international banks, coupled with the a local and national economic recovery, "could lead to a class A absorption level in the second half of 2004 that outpaces absorption levels in all previous six-month periods," he said. Still, Coral Gables is not Utopia. Several mega-office buildings coming into the marketplace threaten to create a major supply and demand problem, Mr. Cartwright said. "Market watchers and owners of existing, half-empty office buildings are encouraged by recent news that part of the 250,000-square-foot Hines project at 2525 Ponce de Leon may be converted to residential use," he said. Among class A buildings, only the Alhambra Towers "is in position to ask and consistently achieve rents in the low- to mid-$30 per square foot range," Mr. Cartwright said. "First generation space in the new buildings will present a challenge to lease. Most prospective tenants, even those of the highest credit quality, are focused on cost containment." There is good news on the class A front, however. "The quick re-let of much of the 65,000 square feet vacated by Sunglass Hut in the 255 Alhambra Building is an encouraging demand indicator," he said. In the approximately 1 million square feet of class B space, sub-lease space can be had for less than $20 a foot, according to observers, though first-generation space fetches $22-$26 per square foot. Vacancy is 10%. Class C space showed a vacancy of just 3% and the rental rate stood unchanged at $21 from the end of 2001 to the second quarter this year. 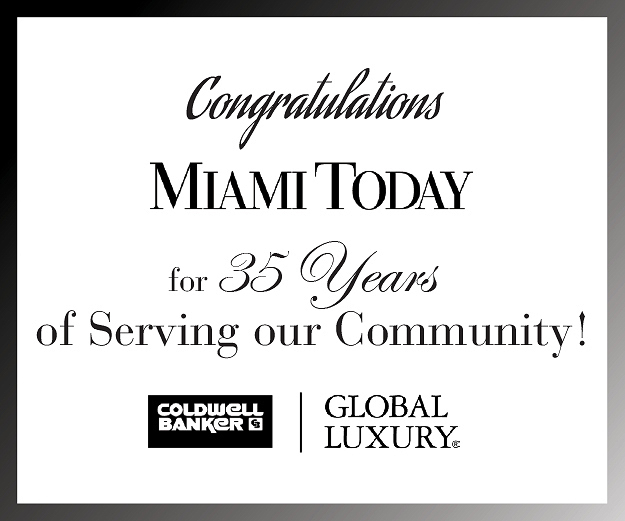 "The Coral Gables market," says Cushman &Wakefield, "despite a substantial vacancy rate due to 425,776 square feet of construction completions, still reflects a demand for space. The buildings delivered to date are 62% vacant. But all are reporting a significant amount of activity." Just to the north of Coral Gables lies Airport West, "historically the county’s most active sector, which seems to have stabilized for now," the Cushman & Wakefield report says. "Year-to-date absorption of 138,005 square feet is a sign that at least some of the space delivered last year is beginning to be absorbed." Miami Airport "now accounts for more than one-third, or 35%, of the nearly 6 million square feet of available space throughout the county," Mr. Cartwright said. 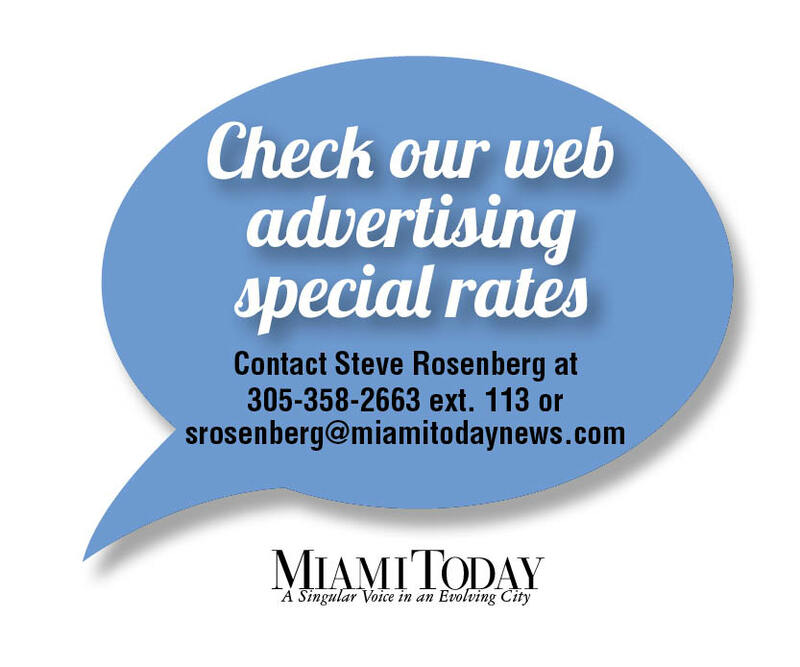 "Its class A vacancy rate is the highest in Miami-Dade County. "This submarket, however, does not appear to have lost its appeal and there are signals indicating businesses are confident about the area long term. Inquiries for space have increased over last quarter." Government, foreign telecommunications companies and firms that do business at the airport comprise the group of office space users boosting demand in Airport West, he said. Well-known companies such as World Fuel and Eastman Kodak are among those who choose the submarket. Cushman & Wakefield puts the average class A rate at $25 per square foot, but Jones Lang LaSalle statistics say those rates here have dropped from $24 at the end of last year to $21.25 at the end of the second quarter. "Nervous landlords surrounded by an abundance of space are awarding what can be fairly generous concessions," Mr. Cartwright said. He said these may include free rent and tenant improvements. "A typical bidding war for tenants can result in rental rates of $19.50-$21.50 per square foot, with three to five months’ free rent – full service rents in class A and B-plus buildings. A few of the better located, quality developments, however, are vowing to hold firm with their rates." Class B space in Airport West showed a 15% vacancy rate at the end of the second quarter as rates averaged $18 per square foot while class C space was 7% vacant and could be had for $17, observers said. On Miami Beach, "double-digit vacancies continue as office leasing remains sluggish," Mr. Cartwright said. "More than 333,000 square feet" of new office space is due to become available, "one of the largest amounts of new construction activity among all suburban sectors and second only to Coral Gables’ 462,000 square feet of expected delivery during 2002." "The Miami Beach market continues to ail, with climbing vacancies and minimal leasing activity," Cushman & Wakefield’s report agrees. "The vacancy rate will reach 30% by year’s end" unless a dramatic improvement takes place. Despite aggressive marketing by owners, overall vacancy rate stood at 28%, according to Cushman & Wakefield, with the average rate for class A space pegged at $34. "Rates for newer product, such as 555 Washington (delivered last October) and the recently opened TowerGate of Miami Beach, have held steady at $33 per square foot," Mr. Cartwright said. "By the end of the second quarter, however, 555 Washington was quoting $32 per square foot, net of electric." In class B, "a correction in pricing has occurred since the beginning of 2001," Mr. Cartwright said. "During 2002, considering there has been little activity, rates have generally remained flat," at $18. Class C space sustained a vacancy rate of about 10% and rates have hovered at about $24 from the end of 2001 until now. Kendall-Dadeland appears to be an emerging success story, observers say. "Despite an increase in overall available space, Kendall still posted one of the lowest vacancy rates," among suburban sub-markets, Mr. Cartwright said. "A general lack of new construction has further aided market conditions." "The Kendall South Dade sub-market has had a phenomenal first half of the year," the Cushman & Wakefield report echoed. "The 44,000-square-foot Burger King lease in Dadeland Towers augmented year-to-date leasing of more than 209,000 square feet." Kendall typically attracts smaller users, Mr. Cartwright said, and is considered prime because of its access to Metrorail and desirable residential communities. Vacancy rates in class A space here dropped from 12% at the end of 2001 to 11% in the second quarter, according to Jones Lang LaSalle, with rates hovering at $23-$24 per square foot. "Class B inventory increased for the first time since year-end 2000," Mr. Cartwright said, but the vacancy rate was 7% at the end of the second quarter. Rates dropped from $19 to $18 from the end of last year until the present. In class C, the vacancy rate stayed roughly the same at 2% while rental rates dropped from $18 at the end of 2001 to $17 per square foot at the end of the past quarter. "Steady office leasing, coupled with a lack of new speculative office construction," Mr. Cartwright said, "should maintain Kendall’s relatively good vacancy rates."